Construction of big buildings and structures is not possible without the use of a crane. Cranes make construction process easy and form a vital part of the construction industry, they are used for the lifting, carrying and the moving of heavy construction materials making it easy for the labors. Because of this, the crane hire seems to be the best option and the preferred choice for a lot of businesses. There are many crane hiring services, making it difficult to choose the right one. A crane service with a reputable history - In professional crane service it is better to go for a company with experience and reputable history, unlike other markets where new is considered to be good. A well-established crane service provider has a lot of strengths that can be of a great benefit. The availability - According to the duration of your project, one should check the availability and flexibility of a company. The project can get delayed or might require cranes immediately so according to the flexibility of the company take a decision. Insurance - The crane service provider you choose should be fully insured along with a proof of it. As no one can afford to risk choosing a company who doesn’t provide full coverage for any damage made by it. Knowledge of the permits and the regulations - Each area has its own laws of governance. As the cranes are huge and prominent there are chances that a local governing body can question the working of these cranes and can ask for their permit. So go for a company that is well aware of the laws and regulations of your area and is able to guide you through it. Full service or car rental - In case you have a crane operator then it is better to just rent the crane for doing the job rather than paying the full amount for full service of providing the crane and the operator. The type of crane - There are different types of cranes to choose from so one can consider a crane according to their project. There are the hydraulic cranes that are mainly used for heavy projects, then there are the crawler cranes that can move freely and carry tons of loads and at last, there are the forklifts which are best suited for smaller projects. Maintenance - A reliable crane service provider would have a proper record of the inspection that is done to see the maintenance of the machinery. This should be checked to ensure the proper working of the machine. The customer service - Customer service is quite important, if a company ill-treats its customers then there is no point in associating with that company. A good and reliable company would always value its customers. The price - Compare the price of the crane service provider you are considering with other providers. If you want better services then you might have to pay a higher price, but it is just worth it. 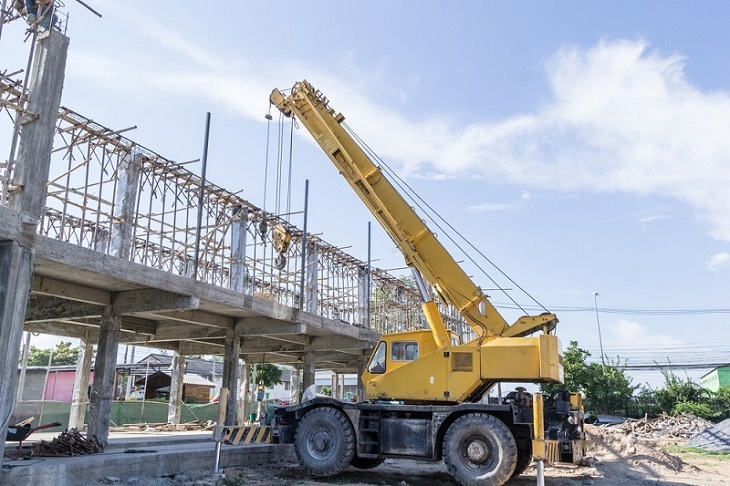 With a rise in the number of construction projects these days, the demand for cranes has also increased especially when it comes to heavy projects. So in order to get the best crane hire services for you project it is better to consider all the above-mentioned factors. Hiring a crane service is the best that you can do but then hiring the best is even better.